Follow the winding road leading from the park's domain and discover charming villages and rolling pine forests. 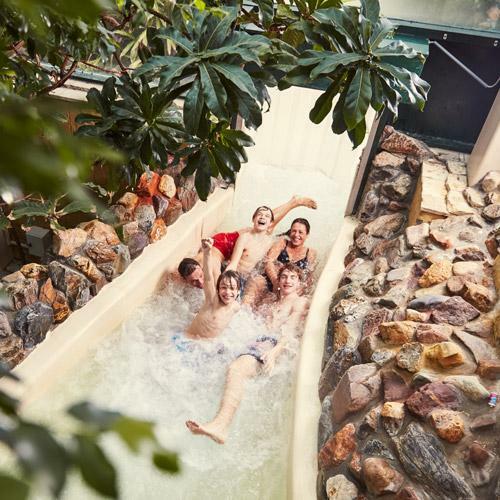 Or head inside to discover the brand new (from 28/06/2019) Action Factory with the coolest indoor activities such as Caving, Lazer Labyrinth and a BALUBA indoor play paradise. The Action Factory opens its doors on the 28th of June. Play in the indoor playground BALUBA, mini golf in black lights or explore the Laser Labyrinth and the caving tunnel. In the Aqua Mundo you race against each other, on a slide with two tubes next to each other. Not sure who won? At the end of the slide a clock gives the exact result. 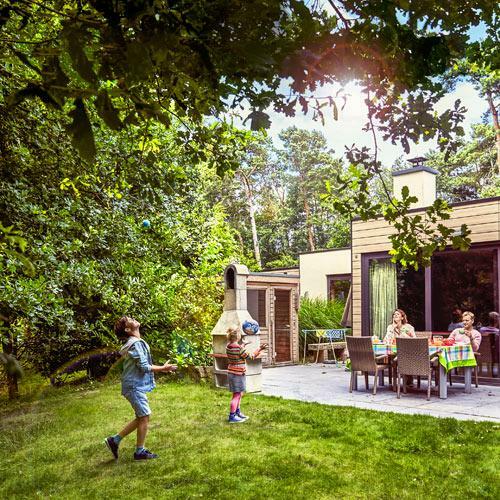 The cottages in the Les Ardennes park have been renewed from top to bottom! Fresh colours, wooden details and even more decorative elements give the cottages a whole new look. Whether it's just the two of you, or a group of 18, we have the right accommodation for you. In the midst of the hills of the Ardennes. 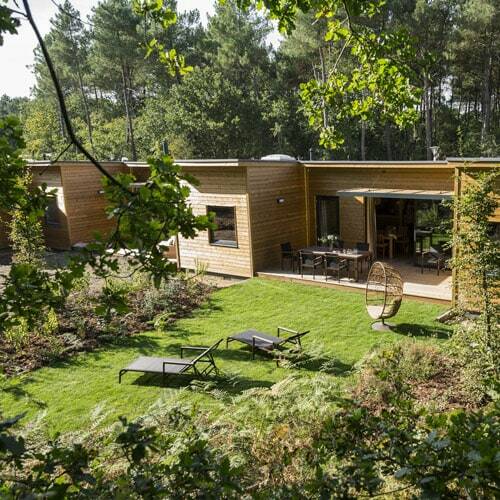 Choosing a Comfort, Premium or VIP cottage? They were all completely refurbished in 2017. Have a race on the Duo Racer water slide, testing your supple muscles in the Laser Labyrinth and the Speleo Tunnel, and romp around with the kids in the indoor play paradise. The Ardennes invite you to go hiking, mountain biking and of course, winter sports! Choose between 3 restaurants under the palm trees. What will it be, a buffet, a snack and a drink in the Grand Café or a bite to eat in the Aqua Mundo? We also have a supermarket for all your shopping, and you can order pizza. Or have your breakfast or Table Cooking package delivered!